Chevy Cobalt Forum / Cobalt Reviews / Cobalt SS / Cobalt Parts > Chevy Cobalt > Chevy Cobalt Owners Lounge > What is this? Can’t figure out how to post pic. Do I have to host it elsewhere? As for what that part is? I don't recognize it. @Coby7 do you have any idea, or have a diagram that might help out? Tagging @MP81 and @rrob5382 just in case you guys recognize it. Looks like the fresh air diverter flap?? By the way, create a new gallery here for you then upload your image into the gallery. Last edited by 1966tbird; 03-27-2019 at 08:15 PM. That's my guess, but I've never actually seen it, so I couldn't tell for sure. 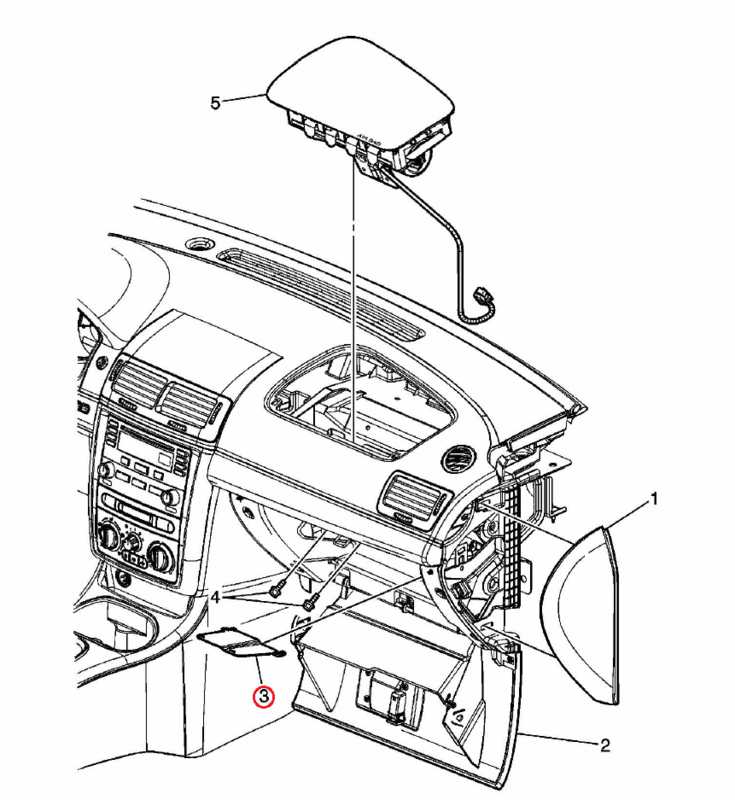 That is the access cover for the 2 screws that hold the passenger side inflatable air bag #3 in diagram.